The Busch School of Business prepares, educates, and supports students in securing professional opportunities by infusing Career Development into all aspects of the student experience. The school is dedicated to preparing students for their future careers, and the Career Development Team further assists students with defining their career visions and equipping them with the tools needed for success. 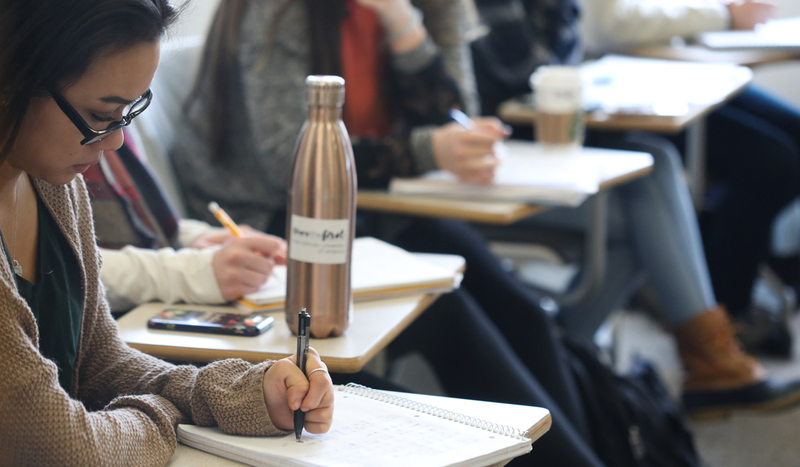 The Career Development Team's mission is to guide students in discovering their vocation—one that provides personal fulfillment and meaning—through providing both traditional career preparation and unique experiential learning opportunities. The Career Development Team within the Busch School of Business is available to guide you toward your future career path. 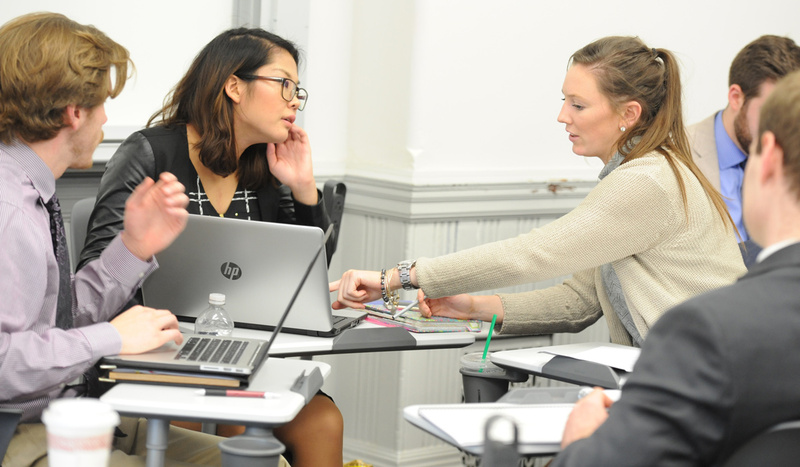 Through a sequence of four courses, Busch School of Business students first learn the skills necessary to start their career and then are exposed to the professional world. 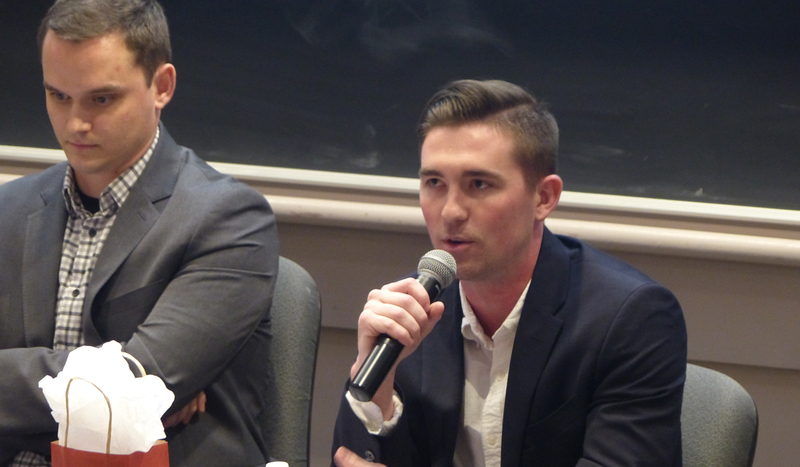 Recruiting panels, hosted by the Career Development Team, offer students the opportunity to put into practice what they have learned in workshops and career coaching. 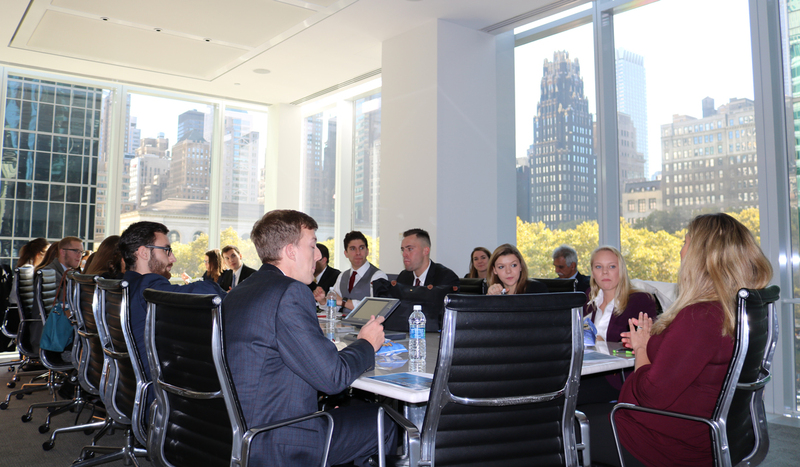 Each year, students are hosted on the floor of the New York Stock Exchange by Catholic University alumni. Later in the day they visit Bank of America/Merrill Lynch and Mizuho Corporate Bank, Ltd.
Find more information on careers and internships, guides and templates for your resume, and more. Accounting – CPA, staff accountant, auditor, tax accountant, forensic accountant, financial analyst, and office manager. Finance – financial analyst, business analyst, wealth management, investment banker, and financial advisor. International Business – financial advisor, consultant, financial analyst, import compliance specialist, and trade specialist. Management – human resources manager, business manager, consulting, purchasing manager, sales manager, organizational development manager, and recruiter. Marketing – marketing manager, digital marketing specialist, marketing coordinator, advertising account executive, sales representative, sales associate, public relations specialist.